Holidays in France : Why France for Carp? 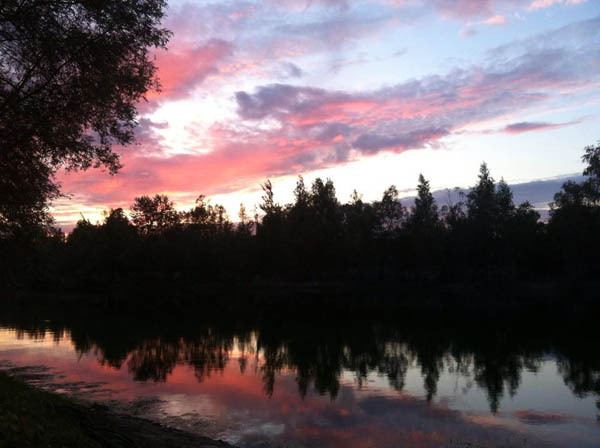 Home Lakes Holidays in France : Why France for Carp? Carp fishing as we all know is immensely popular now, with more and more people coming into the sport every year and more people seeking holidays in France. With more pressure on the ticket lakes, club lakes and syndicates across the UK, carpers have been looking towards France. But is it the Carpfishers ‘Eldorado?’ What does France have to offer? 1) Access to bigger fish: Well firstly in the majority of cases there are no syndicates or waiting lists to fish the top waters. You can simply book up with a lake or go it alone to a ticket or public lake. 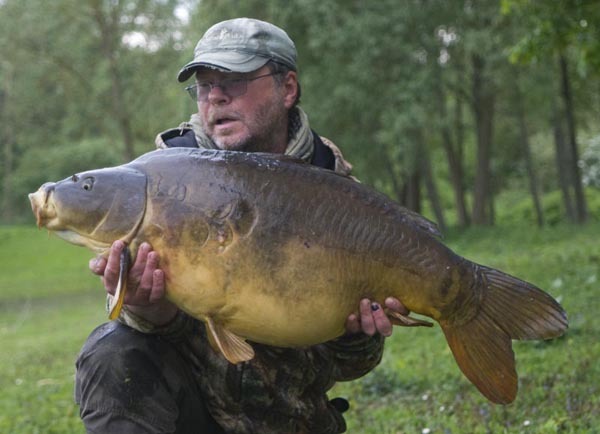 Whatever you choose you’ll have access to bigger fish than the majority of lakes in the UK. The continental climate in France gives us just that few degrees extra average temperatures, which is enough to get the carp feeding longer throughout the year. You gain on average one degree for every 100 km you travel south. Also the strains of carp stocked into France have generally been fast growing mirrors and they can reach 30lb in just 5-7 years. 2) A Lake to yourselves: French lakes for the most part are larger than the UK counterparts and there are lots of them. Just look at the blue spots on the map! This amount of water means you are spoiled for choice. Gone are the crowded banks. Ok your popular waters will be just that… but if you book through a reputable venue you are guaranteed a swim. Better still you can book the venue to yourself, for you and a group of mates or family. We offer this at Croix Blanche, either one of the two lakes or the whole complex. This has a great number of advantages. Often it is cheaper per person to do this. You are certain that you’ll not have another angler casting into your swim. These venues normally get less pressure than the public or day ticket waters so your chances of catching are better, you can fish exactly where the fish are. 3) Top holiday destination: Irrespective of carp fishing, France is a top holiday destination that thoroughly justifies its No.1 place with UK holidaymakers. Literally millions cross the channel every year. It has the benefit of being relatively close and with the ferry and chunnel connections easily accessible. You also get the good roads (ok autoroutes are toll roads) most of which are far more pleasant to drive on than the UK motorways. Add to this the fabulous and varied countryside and architecture and you can see why France is a ‘Top Holiday Destination’. 5) Better weather: England & Wales are not reputed for their hot and sunny climate. Average temps are lower than most of the European continent and rain fall in most parts is higher. This gives us our ‘Green and pleasant land’ but is not ideal for soaking up the rays. Getting yourself over to France can give you a tan and catch you more carp. A top up of Vitamin D is just what the doctor ordered. You don’t need to travel to the south of France either… although naturally the farther south you go the hotter it gets. Most of the time, the summer months north of the Loire are more than enough with temperatures into the 30’s commonplace. 6) PB more than possible: I’ll tell you a secret. I’ve never caught a UK 20lb’er. Ok I left Britain in the 80’s and have not fished there since, but I’ve lost count of the number of customers I’ve spoken to over the years who tell their UK PB is under 20lb. Since I’ve been here I’ve now lost count of the number of 30’s I’ve caught. Now this is not bragging, just fact. Last year I fished just three lakes and several rivers. Three of these venues produced 40+’s for me, and the other managed a 39lb. I’m not saying these fish coming crawling up your rods, but you’ll be fishing waters with big carp in. Rule number one if you want to set out for bigger carp and break your PB is to fish waters holding them. It sounds obvious, but our waters will give you the chance. And on a final note Enjoy your trip! And Don’t Forget to Smell the Flowers Along the Way!! carp fishing reels, photos, Tortue Lake. Bookmark. 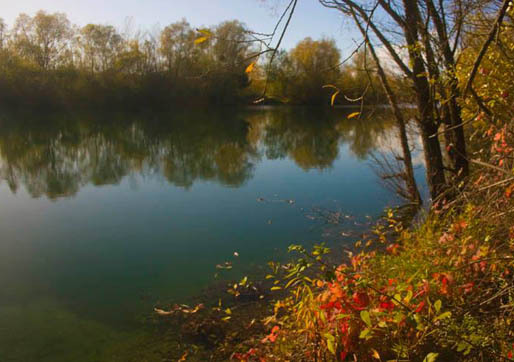 French carp fishing: What Should I expect to Catch? Holidays in France: More than Fishing !